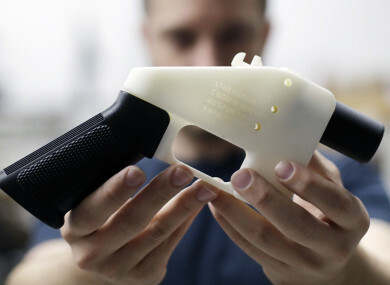 A US JUDGE in Seattle has blocked the Trump administration from allowing a Texas company to post online plans for making untraceable 3D guns, agreeing with 19 states and the District of Columbia that such access to the plastic guns would pose a security risk. US District Judge Robert Lasnik extended a temporary restraining order, and his new decision will last until the case is resolved. He said Cody Wilson, owner of Defense Distributed, wanted to post the plans online so that citizens can arm themselves without having to deal with licences, serial numbers and registrations. Wilson has said that “governments should live in fear of their citizenry”. Promising to detect the undetectable while at the same time removing a significant regulatory hurdle to the proliferation of these weapons — both domestically and internationally — rings hollow and in no way ameliorates, much less avoids, the harms that are likely to befall the states if an injunction is not issued. A lawyer with the US Justice Department had argued against the injunction, saying possessing 3D plastic guns is already against the law, and the federal government is committed to enforcing that law. “Once again, I’m glad we put a stop to this dangerous policy,” Ferguson said. The Brady Campaign to Prevent Gun Violence, a pro-gun control group that has aggressively fought the online release of the gun plans, praised the judge’s ruling “as a tremendous victory for the American public”. Avery Gardiner, co-president of the group, said 3D-printed guns “represent a supreme threat to our safety and security, and we are grateful that Judge Lasnik recognised it as such”. Email “US judge blocks online plans for printing untraceable 3D guns”. Feedback on “US judge blocks online plans for printing untraceable 3D guns”.